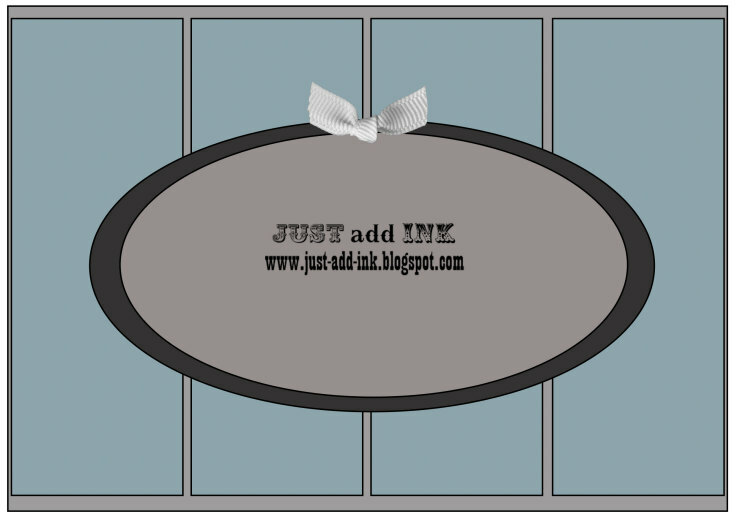 This week over at "Just Add Ink" Mae has provided us with another great sketch to play with. 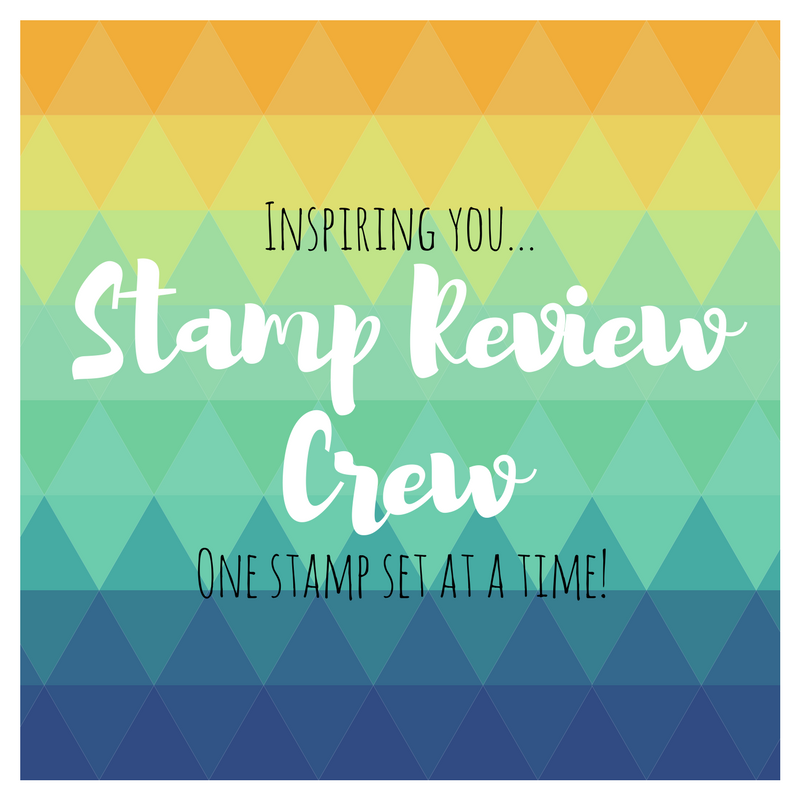 The DT have supplied some great inspiration to get your creative juices flowing and we would love to have you play along if you can. A short post from me this week, but l did have fun creating this card with all it's layers. It is nice to get a little inky now and then and l do like the effect of the Midnight Muse sponging on the DSP, usually l would stick to a neutral for that. "Thanks so much for stopping by & have a great weekend"
Anyway enough chat, onto this weeks Just Add Ink challenge. This weeks challenge is from Delys and we want you to "Just Add Kids". My card this week is not really what l had envisioned in my head, but due to lack of concentration and leaving it until the last minute, it is what it is! 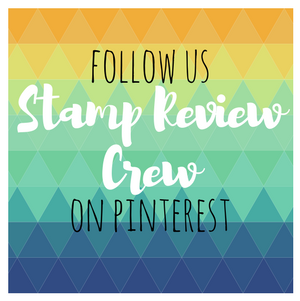 Since attending Stampin-Up Convention this year, l had been wanting to play with this set called Storybook Friends. The images remind me of "Old" style children's books and l just fell in love with them straight off. I used Crumbcake and Soft Suede ink pads with my Aqua pen for colouring and added a little Crystal Effects just for something shiny. The DT have really had fun with the challenge this week and have some great kids cards to share with you. Thought l would stop by and share a fun set of Christmas cards, using the Stampin-Up set "Snow Much Fun".....This post is a little photo heavy but l wanted to show some close ups of the Dazzling Diamond accents. I love this stamp set and being line art it's really fun to colour and the images are just so cute! This set uses some of the "NEW" lovelies from the "Holiday Catalogue" & "Annual Catalogue" and l love the colours and images available this year. The DSP used on these cards is called "Snow Festival" and has some great patterns & Colours which are so versatile. Well "Spring" is definitely in the air these days and l for one cannot wait for the warmer weather and sunshine on a more permanent basis...:0) With that thought in mind l combined our very pretty colour challenge over at "Just Add Ink" courtesy of Kim, with flowers, well one anyway! I had a bit of fun with this challenge and used my new Floral Frames Framelits from Stampin Up to create this "Easel" card and it is rather huge! And last pic, a close up of the stamping detail created with the SU "Daydream Medallions" stamp set. 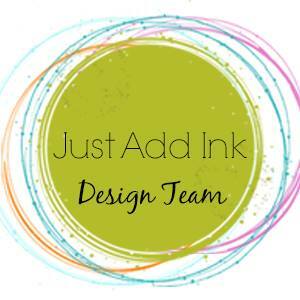 The Just Add Ink girls have used the challenge colours beautifully, their samples are sure to inspire you to play along if you can. 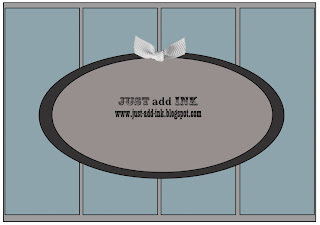 All products used are "Stampin-Up"
This weeks Just Add Ink challenge is from Trish and very cute it is too! We want you to Just Add "POLKA DOTS"....Now that's what l call a fun challenge. Sunglasses anyone?...So it seems l have a bit of a Red & Yellow thing going on at the minute, any shade is just fine by me, loving them both and especially together as you can see with this weeks sample. I enjoyed making this card and especially love the polka dots, l must say l am very partial to spots, dots & stripes and more often than not l reach for them in some form in my projects. The Design Team have used Polka Dots in so many fabulous ways, so don't forget to pop on over to JAI and check them out. Polka Dot Embossing Folder & Basic Pearls. All 3 cards were coloured using my Stampin Up Inks and an Aqua pen with a wash of Champagne Shimmer paint over the top and a generous dash of Dazzling Diamonds for that "Christmas Sparkle". As you can see the top one is embossed with gold EP, coloured with Cherry Cobbler, Gumball Green & More Mustard and layered on multiple Apothecary Accents frames cut from Gumball Green Cardstock and Be of Good Cheer DSP and the mat layer was dry embossed with the new Fancy Fan Embossing folder. This one has a much softer look and was stamped with Early Espresso Ink and coloured with Baja Breeze, Primrose Petals & Gumball Green Inks.